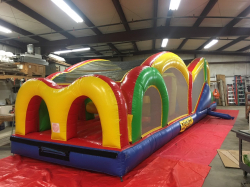 If you are hosting a large event in Middletown, CT, we have a great selection of Obstacle Course Rentals that are perfect for any event. A Total Jump Inflatables loves setting up these GIANT inflatable rentals for kids and adults to race down. Kids will go crazy ducking, diving, bouncing, running, climbing, & even sliding. That’s right! 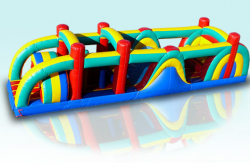 We have Obstacle Course Rentals that have a fun inflatable slide attached right to them. Our 78ft Extreme Obstacle Course is over 78 feet of inflatable fun that will give you hours of fun. Check out our great selection today! 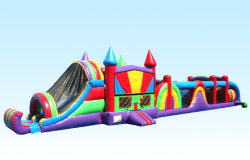 Do you want just an Inflatable Slide Rental; we have those too! A Total Jump Inflatables is the #1 place in Middlesex County for awesome Obstacle Course Rentals! When you choose us for your party rentals, you can rest assured that your inflatable rentals will arrive at your event clean, sanitized, and in proper working order. We are a full-service company so you don’t have to worry about a thing, we take care of the set-up and tear down. If this is your first time to rent with us, please check out our Safety Section to learn more, or Contact Us.